If oranges could talk there would no doubt be a few choice words from them about how things have changed from the old days when this was a simple orange grove. 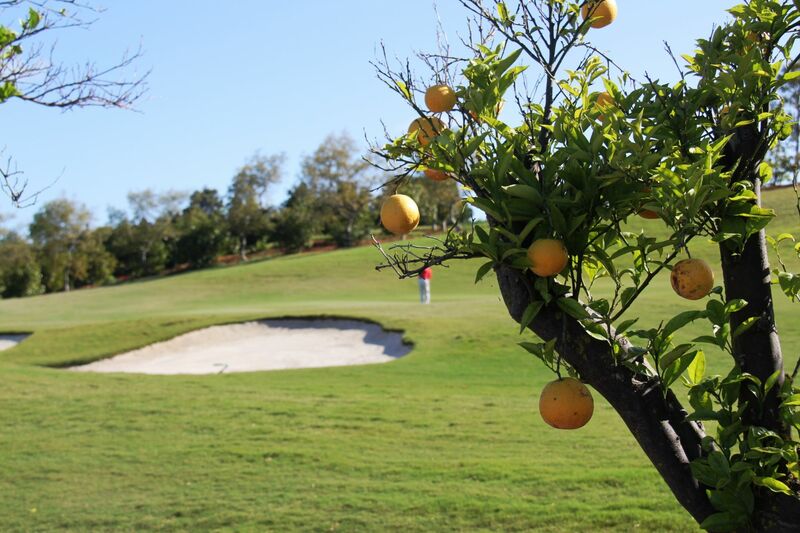 These days the oranges trees line manicured fairways as the stunning Laranjal golf course winds its way through this fertile part of the Quinta do Lago estate. With its North course and South course elder sisters are already stuff of legend on The Algarve, Laranjal is still striving to find its feet having only opened in 2009. 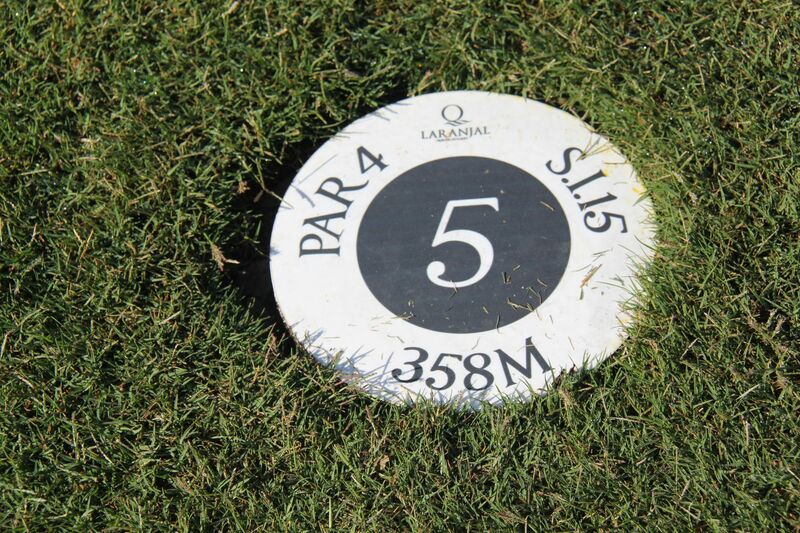 Designed by Portuguese golf architect Jorge Santana da Silva, Laranjal’s make up is very different from its elder siblings in that it has five par fives, five par threes and just eight par fours across its 6,482 metres par 72. 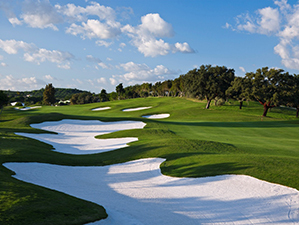 Although there is the usual Iberian fixation with gigantic white sanded bunkers which look stunning, until you actually find yourself in one. 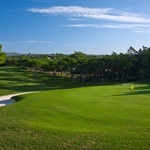 Off the back tees Laranjal is a formidable challenge with tight fairays and fast undulating greens and I suspect it has been designed to one day play host to a number of prestige tournaments. That said, playing off the yellows you will always get an opportunity to score if you can keep your ball in play, particularly with so many par fives. After a reasonably benign opening few holes, the tough 205 metre par three seventh comes along where I was delighted to escape with a bogie. 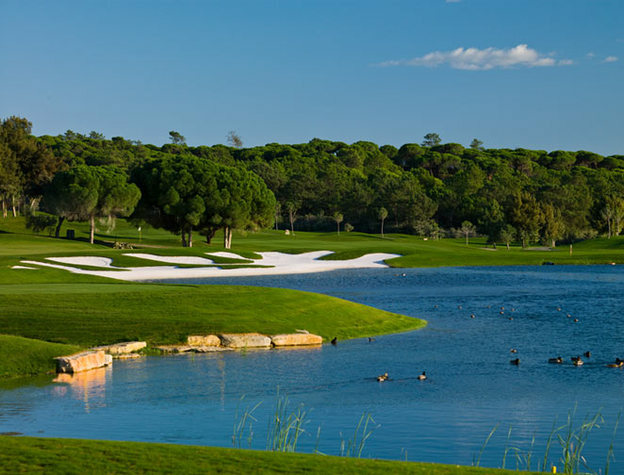 Then a very trick eighth, the hole guarded by a desert posing as a bunker and then on to ninth, a blistering par five and the first hole where water comes into play from two of Laranjal’s six resident lakes. The fairway squeezes between them and you’re faced with not just hitting over water but then ensuring you don’t slice into the other lake waiting on the right. The back nine is filled with water hazards and the mighty sixteenth is a fantastic par five with at least three opportunities to find a watery grave. Laranjal is more open than North and South it’s true, yet I found it just as testing; the kind of course that can be relentlessly punishing if you are having a bad day. I escaped with 34 points mainly because I putted well on some very slick and contoured greens. I think I impressed a few oranges along the way though. I want to play Laranjal. How much is it? Laranjal Par 72 6,482 metres.